Before moving on it is our sad duty to advise that Alfons “Fons” Vermiedt has sadly passed away after a long illness. As you will be aware Alfons initially found Peter Knox after he bailed out of ME846 and our thoughts go out to his family. His son Frankie writes – that his memorial card translates “that he wants to live with the birds and that we need to remember him as he was in his normal way of living. Only to remember the good moments and the happy times we spend together”. Earlier in the year a gouache painting of the ME846 (see above) was commissioned from aviation artist Timothy O’Brien GAvA. 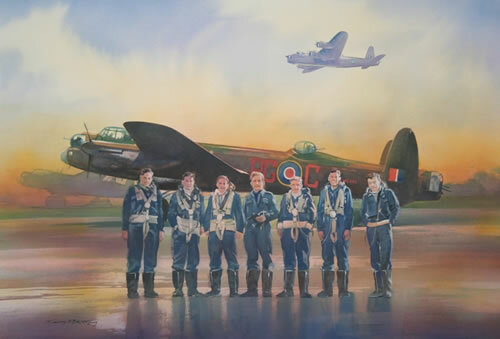 This replicated the 1661 HCU crew training picture (the crew standing in front of a Short Stirling at RAF Winthorpe), but depicted the crew in front of Lancaster III ME846 ‘PG-C’. Sixty five prints were produced from this painting to commemorate the 65th Anniversary of the aircraft being lost over northern Belgium / southern Netherlands. The painting has featured extensively in the aviation press around the world. One of the prints has been framed and takes pride of place in the revised ME846 Display that was unveiled at Newark Air Museum on 21st June, 2009. As you may well be aware in October 2008 the Royal Netherlands Air Force Recovery Team formally agreed to take on board the search for ME846 in southern Netherlands. To supplement this search we are currently considering the submission of appeal letters to the local newspapers in southern Netherlands; to enquire whether any local residents have memories relating to such a crash in June 1944. Spurred on by the arrival of the new ME846 display the museum is refurbishing the whole of Lancaster Corner display area in Hangar 1. One new exhibit that recently arrived is an Upkeep Practice Mine (Practice Dambusters Bouncing Bomb) as used by the 619 minus 2 Squadron to breach the dams in the Ruhr Valley in May 1943. This is the evocative title of a new book by Reginald (Reg) Brookes that has been published by the Lichfield Press. Reg has been part of the ‘ME846 Family’ since the gathering in Belgium in 2006 and he spent time with Peter Knox whilst both were evading capture by the Germans in Belgium during the summer of 1944. 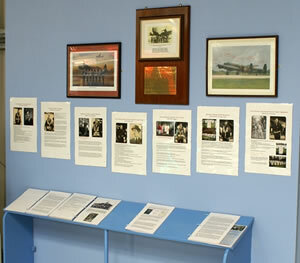 The book is a personal memoir of Reg’s training and service with 100 Squadron in the Second World War. The book details how he was shot down in April 1944 and how he evaded capture thanks to the brave efforts of the Belgian Resistance. 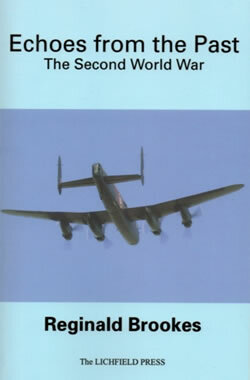 Copies are available via the Newark Air Museum Shop and it provides a personal and engaging insight into the personal thoughts and feelings of a wartime bomb aimer / navigator. The possibility of a small gathering in Newark during summer 2010 has been discussed, but a date and venue still has to be confirmed. One possibility is to gather in Newark at around the time of the Farnborough Airshow in late July, but more details will be advised when they are confirmed. Ties with the Association are being maintained and in the summer Paul Stevenson and Howard Heeley (representing Jane Knox) attended the William Farr Church of England School at Welton for the unveiling of a new memorial window at the school reception. 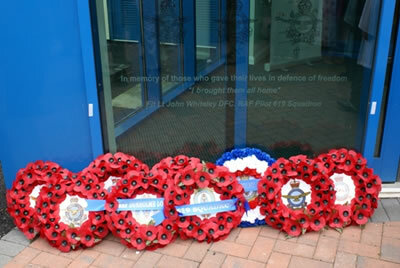 This featured the words of 619 Squadron Association Secretary, Flt Lt John Whiteley DFC – “I brought them all home”. More recently Paul and Gill Stevenson attended the Dinner hosted by the Association at the RAF Club in London. Many old friends were present including Air Cdr Charles Clarke and Joe Dutton. Sadly John Whiteley was unable to attend due to a slight deterioration of his health. John has recently moved into sheltered accommodation in Solihull, where he is now settling in with the other residents who are also former service personnel. Howard Heeley visited John in early October and he asked to be remembered to everyone in the ‘ME846 Family’.